Adjacent to Carrefour is a restaurant named RBT, which stands for Real Brewed Tea. After our shopping extravaganza, we popped over for a nice filling lunch at this place. I would say, visiting to RBT was one of the best and decent meals we've ever had during our stay. 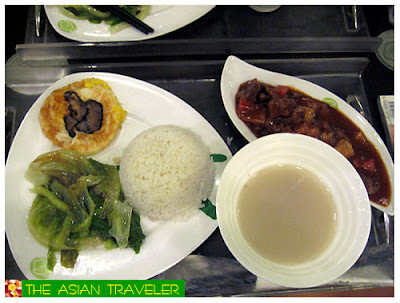 Finding a good restaurant in Guangzhou can be a challenge especially if you are "On-Your-Own" exploring. 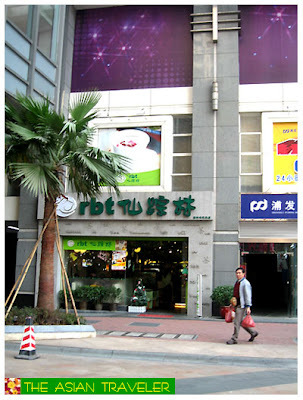 RBT was founded in 1994, introducing the Taiwanese style tea and snacks to Hong Kong, and extended to China, Canada, Australia, Malaysia, Philippines and Indonesia in the past 10 years. Today, RBT has evolved into a recognized modern tea operation. 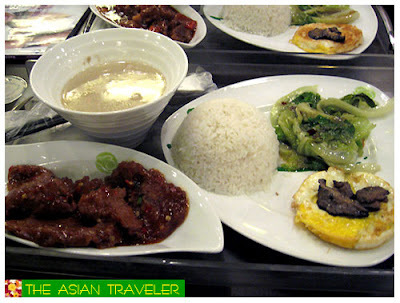 They have several dishes that are clearly a fusion of modern east and west. One superb feature of RBT, they do a couple of set menus, which we opted to try. Our meal has an appetizing mix of healthy and tasty dishes. The set menu basically has a cup of rice, your choice of viand, and comes with side dishes such as egg, vegetable and soup. To quench our thirst we tried two of their many varieties of drinks. The beverages are pretty interesting; they blended the Oriental teas with the western way of drinking by adding milk and sugar, and healthy ingredients such as healthy jelly, pearl sago, nata de coco and malt for a savory twist. Other specialties include milky and frothy teas, cool iced drinks, milk shakes, and healthy yogurt to fruit teas with flavors ranging from lychee to cookies n'cream. 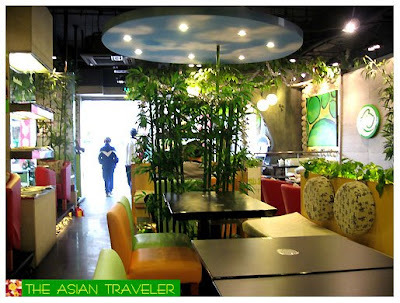 Overall, this is a quiet tea house with an elegant blend of contemporary design and decor. 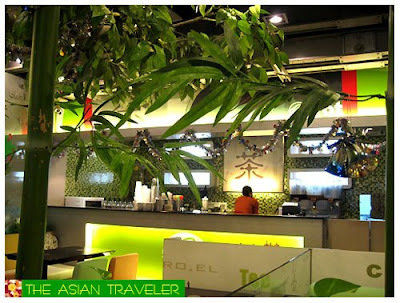 It has a tasty mid-range and mid-price meal that provides daily necessity for tea lovers, a place to relax in a comfortable environment or just chat with friends.